Below you'll find a list of sites that represent a sample of our work. We've also grouped them into categories so you can get an idea of the goals and functions of each site. 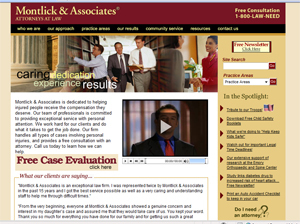 These sites have clean design, no database functionality, and basic content. The main goal is to get a web presence, communicate their mission, products and services to their potential customer base, build their brands, provide critical information (location, contact info, how to buy, etc. ), and generate a contact from a potential customer. 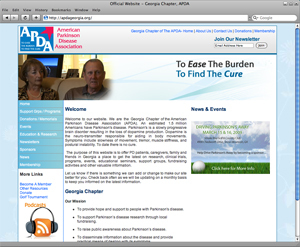 APDA Georgia is the Georgia Chapter of the American Parkinson Disease Association. A content management system (CMS) is a program that allows anyone with basic computer skills to manage their website. 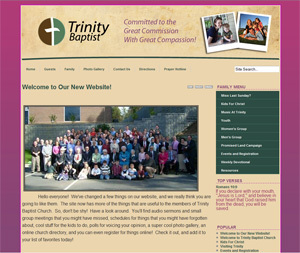 This type of site is ideal for organizations who have a need to change their web content on a regular basis. Organizations like, schools, neighborhood associations, sports teams, and business have found these types of systems to be very useful and easy to use. The price to get a CMS setup is a little more to compared to a regular website, but in the long run, it pays for itself in site updating fees and the ability to updated info on the fly can be invaluable to some. Shopping carts can be added to a content management systems too for a complete package! 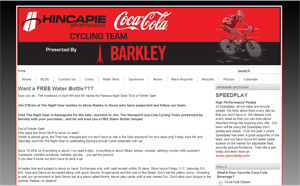 The Hincapie / Coca-Cola Cycling Team chose a content management system so they can quickly update and manage their site while racing across the country. With online retail sales somewhere to the tune of $150 billion, most companies are integrating shopping carts into their websites or some, actually building their sites around a shopping cart. Creating revenues from your website can be very beneficial no matter how small. Online sales will add additional revenue streams, and help you reach customers unreachable before. 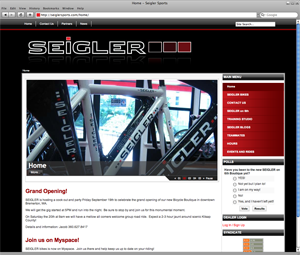 Seigler Sports is an up and coming bicycle manufacturer with an awesome line of bikes! Some websites are beyond the ordinary. We can work with your needs and combine many benefits of the web into your site. Custom programming is a specialty and favorite of ours. If you want your website to do something different that everyone else's, give us a call. 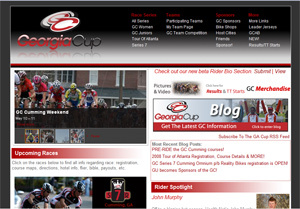 Georgia Cup has a little bit of everything, sections, categories, slideshows, maps, blogs, database integration, flash, and more. If you've seen it on the web, we can do it. 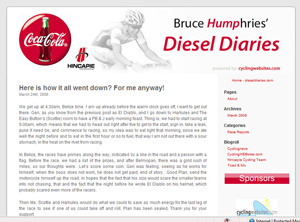 Blogs are a great way to get your thoughts up on the web. Whether it's recreational or business they are fun and easy to use. 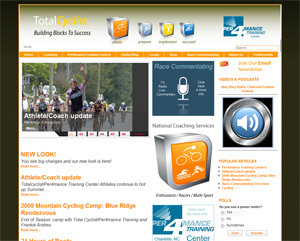 Blogs have a built in backend so that anyone without web experience can post and update their blog. Blog posts are categorized and archived. You can also add additional pages like a normal website. RSS feeds, links to other sites, and email posting are just a few other features. If you need help updating, maintaining, additions, or redesign we can help. We offer 24hr turn around on most routine updates. Just send us an email of what you what updated and consider it done. Ecommerce Management: An ecommerce website can be difficult to manage. If you're constantly having to update inventory, adjust prices, add new inventory, etc, it can sometimes seem like you spend more time tinkering with your store than doing what you do best. Whether that is selling or producing or both, you business is going to be most efficient when you can place your time and attention to those matters. We have many years of experience in managing online shopping carts. Our experience with databases enables us to efficiently manage online systems. If you have an online store, give us a call and let discuss how we can help your store management become more efficient.